SoFi is very selective about the customers they lend to. Let us explain how they work and decide for yourself if you should apply with them. Developed by Stanford graduates using a Peer-to-Peer (P2P) model, SoFi began as an effort to relieve Stanford graduates' student debt by crowdsourcing funds from Stanford alumni and, although it has expanded to offer more loans to a wider demographic, their target borrower is still pretty elite — a top-school graduate with a high-income degree making a mid-six-figure salary. In general, you need a high credit score and well-paying job to qualify. This means loans can be difficult to get, but the great interest rates and flexible terms make it worth applying if you meet the requirements. What are the Advantages of a SoFi Loan? You become a member when you borrow or invest with SoFi. You need to be in good-standing, and your membership continues even after you payoff your loan. However, SoFi insurance customers are not considered members. SoFi borrowers who authorize automatic deductions from their bank for their monthly payments receive a 0.25% discount on the interest rate of their loan. The vast majority of reviews are exceedingly positive. Clients are happy with the interest rates, payment options and interactions with SoFi. The pain point is application denial. SoFi's membership culture is exclusive. On the other hand, there could be basic reasons you are denied a SoFi loan that you didn't see in the small print. For one, all their loans are not available or have rate differentials in some states. To qualify for student loan refinancing or a parent loan, you must have graduated or your child must be enrolled full-time in an accredited university. If you have been denied a SoFi loan, also check to see the minimum loan amounts. You may have asked for less than the required amount. In most states, the minimum is $5,000, but in Arizona, Massachusetts and New Hampshire is $10,001 and in Kentucky, it is $15,001. SoFi admits to a strict eligibility criteria that they are constantly “tweaking” because it excludes many complicated pay structures it has yet to understand. 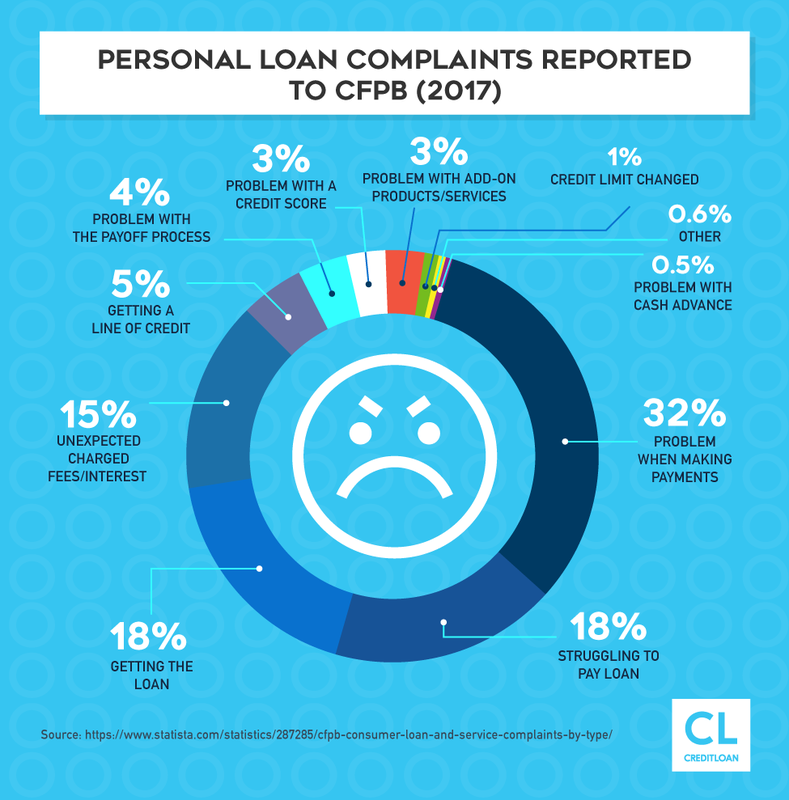 SoFi uses an algorithm to automatically check applicant eligibility and the company has yet to provide the customer service end to that technology: actually communicating to applicants why they were denied a loan. SoFi offers online student refinancing, parent and personal loans as well as mortgages. SoFi loans have no penalties like application fees, origination fees or prepayment fees. Eligibility requirements vary depending on the type of loan and where you live. You can find out more on SoFi’s website. SoFi student loan refinancing is great for working graduates with high-interest student federal or private loan debt. WARNING: When you refinance with SoFi, you are no longer eligible for federal loan protections like loan forgiveness, income-driven plans, deferment and forbearance. Creditworthy parents can get significant savings by refinancing federal Parent Plus loans with SoFi. Parents can apply to offset tuition and other expenses for a year of their child's education. SoFi offers unsecured personal loans for a variety of uses included to pay off credit cards or make large purchases. SoFi's online application is an easy-to-use process takes about 15 minutes. Before applying, users should set up an account and use the Find My Rate tool. This step is called a “soft check” that will not affect your credit score. SoFi does do a “hard check” after the application has been submitted. There are also a number of useful guides and articles related to personal finance. However, there have been some criticisms of the website application process. Most involve applicants repeatedly ask to upload their documentation. They need to fix that pronto. It is hard to buy that bankless is better with frustrating document management glitches. How are SoFi Loan's ratings? How is SoFi's Customer Service? 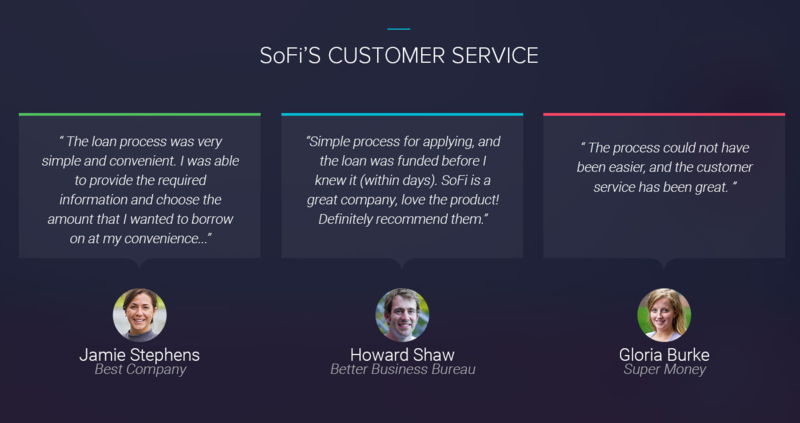 SoFi has a great reputation for customer service which is available by phone seven days a week. Is SoFi Safe and Legitimate? SoFi values free cash flow and future income potential over credit scores. What is SoFi's referral program? What types of referral awards are there? The SoFi Referral Program allows you to generate unique links from your account to send to family, friends and colleagues. If they then are able to get a loan using that link, you both get a bonus. Payments over 15 days late are charged either 4% or $5 (whichever is less). Payments over 30 days late are in default and subject to collections charges. Not even bankruptcy can protect you from paying back SoFi's student loans as they are protected as “educational loans”. Can I pay a SoFi loan off early? If so, what are SoFi's interest penalty for early payoff? You can pay your loan off early without penalty. I have just graduated from school and do not have a job. Do I have to pay off my loans while I am still finding work? You cannot get a SoFi loan employment or an employment offer. Can I apply for a loan if my school is not on SoFi school list? No, SoFi only lends to graduates of accredited universities. I am an international student studying in the US. Can I apply for a student loan? SoFi only offers loans U.S. Citizens or permanent residents. Why is SoFi not accepting my statement of earnings as proof of income? SoFi needs legal verification of your employment in the form of pay stubs, tax receipts or a letter from your future employer. What is SoFi's BBB rating? Does SoFi run my credit score? Or affect my credit score? SoFi does a soft credit check when you use their FIND MY RATE tool. The hard credit check that affects your score is done if you submit your application. What are the most common complaints about SoFi? Loan denial. SoFi has a strict proprietary underwriting model. Yes, but you must prove your income with tax receipts. 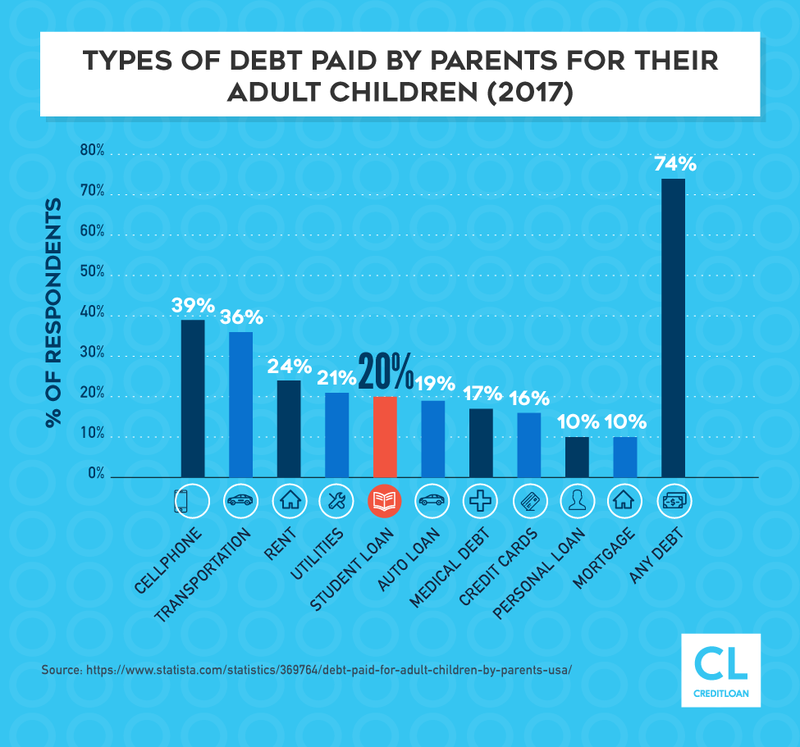 Why was my parent loan rejected? Parent loans require your child attend an accredited universities full-time. SoFi products vary by states. Can I take a loan for investment and invest with SoFi's investment options? No, using a loan to purchase securities can only be done using a margin account. Loans with fixed rates can be extended using this form. Can I negotiate the terms of my loan? Contact SoFi Customer Support to modify your payment terms. Credit check, employment verification, repayment history, income-debt ratio, free cash flow, etc. Is it worth refinancing through SoFi? It is worth it if you think you will be approved. Why does SoFi ask if I am going to use a personal loan to buy securities? It is illegal to buy securities with borrowed money without a margin account. Which credit bureaus does SoFi report to?